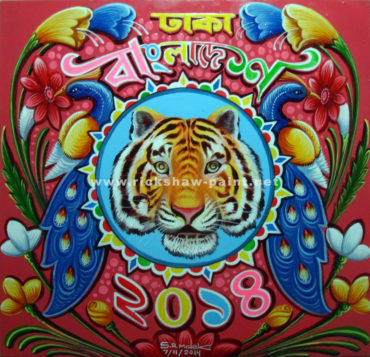 Rafiqul Islam is a very talented rickshaw artist he started his art carrier when he was 18th years old and he painted around five thousand sheet. He just paint rickshaw related painting and he is very much good to do it. Born in 1964 in B.baria, He started his painting life in 1982. He developed his talent by himself.